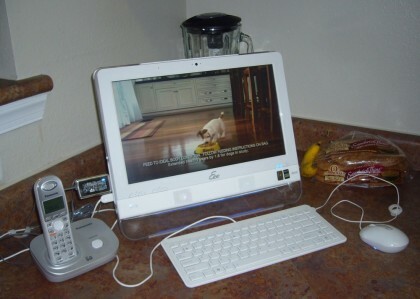 Dave Zatz: Being a fan (conceptually) of the Audrey and Icebox computing appliances of lore, I placed the 15.6″ all-in-one PC in our kitchen. Where I believe it belongs. Mari Silbey: I skated into the Streaming Media East show just in time to catch the “Online Video and Set-Top Boxes” session. The panel included representatives from TiVo, Showtime, Motorola (my employer), and Verizon. Mari Silbey: There continues to be a perception that we’re inevitably moving to an all-a-la-carte TV model… and that somehow that’s a good thing. However, I believe it’s short-sighted. Dave Zatz: DISH has joined other DVR vendors (DirecTV, Verizon, TiVo, Moxi) by (officially) launching online scheduling. While TiVo was a pioneer in this space, they’ve begun to lag as others provide a direct connection for interactive conflict resolution and to view listings of recorded shows or scheduled recordings.